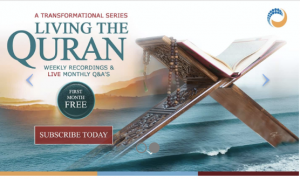 Although most people know that Muslims believe in and follow the Quran, many are unaware that we also believe in the Old Testament, or Torah, revealed to Moses*, and the Injil, revealed to Jesus*. So what core principles do the three Abrahamic religions share? All three religions believe in one God, although while Islam and Judaism are strictly monotheistic, Christianity believes that He exists in three different forms: Father, Son and Holy Spirit. Christians believe that the founder of their faith – Jesus* – was sent to reconcile man with God, through his death, which is a sacrifice for mankind. Jesus, or Isa* in Arabic, is also important in Islam, as Muslims believe that he was sent with the mission of proclaiming God’s message to all people. The two religions also differ over their accounts of Jesus’* death. In Christianity, they believe he was crucified to death and buried. On the third day after this, he rose again and ascended to Heaven. In Islam, we believe that, although crucified, Jesus* did not die on the cross, but was raised to Heaven by God right then and there. The three religions have different places and ways of worshipping. Christians worship in a church and praise God in music and speech, sermons, readings from scripture, prayers, and various holy rituals such as baptism and Holy Communion. Muslims worship in mosques and perform ritual prayers five times a day. They also praise God through recitations of the Quran. Jewish people worship in the synagogue, through praying, and reading and studying the Torah. Muslims are only allowed to eat halal food, and alcohol and drugs are prohibited. For meat to be halal the animal must be alive before slaughter, after which all its blood must be drained. God’s name must be said over the slaughter, which a Muslim must perform the slaughter. Pork is completely prohibited. Food rules in Judaism are much more extensive, but are similar to Islam with regards to meat. Pork is forbidden here too, and the slaughtering again has to be in such a way that death occurs almost instantaneously. Alcohol is not prohibited in Judaism, but in fact is a key component in many religious observances, as it is in Christianity, where wine during communion symbolises the blood of Jesus*. Christians do not have any prohibitions on food. All three religions believe in a life after death and of a place for sinners and a place for those who lead their life according to the core principles. Christianity and Islam both believe in Heaven, or Jannah – a beautiful garden where good people go as a deserved reward for a virtuous life – and Hell, or Jahannam – a bad place of everlasting punishment, for the unrighteous. However, Christianity has no crossover between Heaven and Hell, whereas in Islam a soul may be punished in Hell for a time, but then go to Heaven once their penance is paid. Judaism believes in the concept of Gehinnom or Gehenna, that says those who die in sin may suffer temporary punishment, but certain sins merit eternal punishment. However, Judaism’s ideas of the afterlife have varied widely among different groups and in different time periods. For the most part, Judaism does not emphasise the afterlife. The three religions also share important core values in daily life. For example, giving to charity is key in each religion. In Islam, Zakat is the third pillar of the religion and something that every Muslim must give ever year. Zakat is a specific, standardised percentage of one’s extra wealth (over and above the necessities of life) that must be given to the poor and those in need. Extra charity is also encouraged, especially acts that continues to benefit others long-term. The performer of such deeds will continue to collect the rewards for their single act for as long as it benefits others, even after they themselves pass away. Charity serves as a way to bring justice, balance and kindness to every society and community. In Judaism, there is a similar principle called Tzedkah. Orthodox Jews give at least ten percent of their income to charity. Traditional Jewish homes commonly have a pushke, a box for collecting coins for the poor, and coins are routinely placed in the box. Jewish youths continually go from door to door collecting for various worthy causes. Giving to the poor is an obligation in Judaism, a duty that cannot be forsaken even by those who are themselves in need. Tzedakah is one of the three acts that gain people forgiveness from their sins. A common understanding of charity is what many people of faith would call ‘almsgiving’ – a strong tradition in both Christianity and Islam – as well as Buddhism and other faiths. During Lent, for example, Christians are urged to pray, to fast, and to give alms (money or goods) to people in need. Motivation is important – in both Christianity and Islam giving charity in secret is encouraged, to ensure you have a pure intention and are not giving simply to gain human praise. Charity in Christianity is not just almsgiving and should not be seen only as an obligation or duty. Charity is love. Christians believe that God’s love and generosity towards humanity moves and inspires us to love and be generous in response.